WorldCPR Learning Centers is an approved training site for the American Heart Association (AHA) and EMS Safety Services. 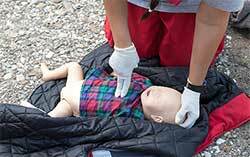 All of our Cardiopulmonary Resuscitation (CPR) courses include adult, child and infant CPR techniques. Additionally, our CPR certification course includes training on the use of an Automated External Defibrillator (AED). 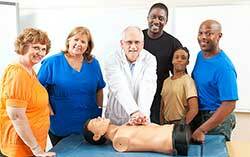 Our Healthcare Provider CPR course caters to the all healthcare professionals. Current textbooks are required for all courses. If you already own a current textbook, you will not be charged for the book.